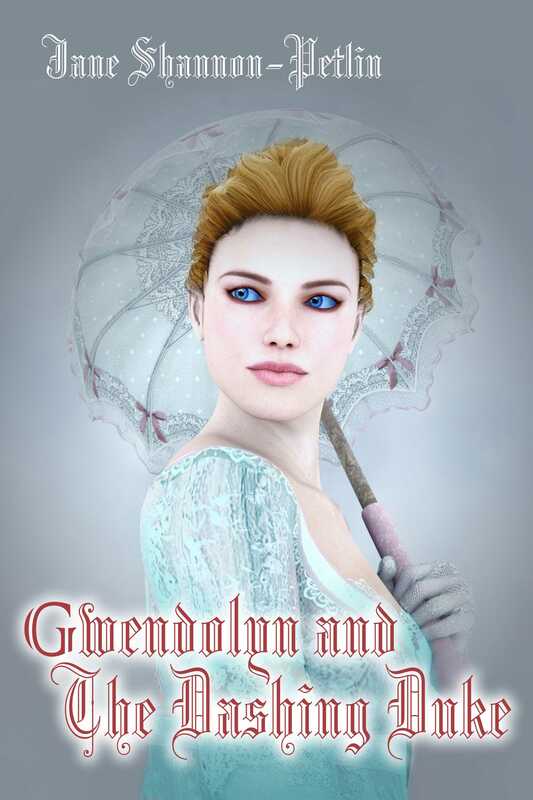 Lady Gwendolyn Jamison was on her way to a new life. When she was little her mother had died in childbirth, her father and brother finally passing from the fever, and now her beloved Nanna had also died. Before Nanna had died she and Gwendolyn had been working at the local mill to survive, since her home was going to the next male in line to inherit her father’s title. The mill owner, Peter Weston, wanted Gwendolyn for a new wife and mother for his five children, something which Gwendolyn refused to become. It was time to leave! 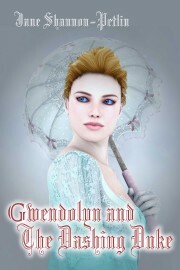 Through connections that Nanna had known and a mix-up in the mail, Gwendolyn, now called Gwen James, was able to secure a post as a governess-companion in the London home of the Duchess of Greenstone. In this same house was her son, the very handsome, dashing Damian Greenley, the Duke of Greenstone. On meeting, immediately Gwen and Damian, the Duke, had a connection that was not meant to be—OR WAS IT? Keywords:- Regency, Regency Romance, e-book Regency Romance, Lords, Dukes, Lady’s, Regency Period.